Jimmy searches for a hashtag like #sandiegoeats because he’s looking for a restaurant, or maybe he’s just bored and wants to drool over food pics. He gets a search result that is broken up into two sections: “Top Posts” and “Everything Else”. The top posts show the best 9 recent photos, and everything else shows up in reverse chronological order. Jimmy looks through the top posts and sees a place he likes. He clicks on their profile, browses through it, maybe he likes a few photos. He wants to take his new Tinder fling there so he follows the restaurant. Then Jimmy goes back to the main #sandiegoeats page, and starts looking through “Everything Else.” He scrolls through for a minute but then realizes that the pictures aren’t all that great, so he moves on to look at another hashtag like #sandiegorestaurants. What can you learn from this ridiculous made up example? The internet lied to you. 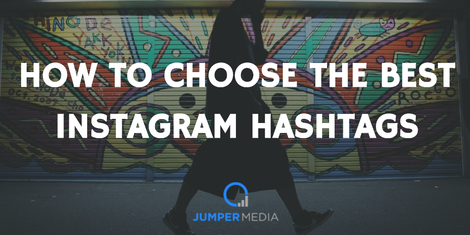 Keep reading to learn the real way to use Instagram hashtags to get more followers, and plenty more. 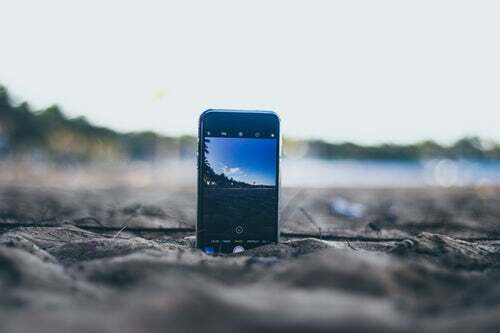 Incredibly popular hashtags like #instagood or #photooftheday have millions of contributions and their posts have the potential to be seen by a large number of people who are searching for them. However, the fleeting attention that comes from the use of these hashtags does not usually create a meaningful relationship with those engaging in the post. Your post may get a boost in likes from using a popular hashtag, but that’s rare. Usually your post will just fade away into the abyss of thousands of other new #instagood photos. If you want to create more exposure for your brand or business, there’s a better way. So instead of the usual mega-popular hashtags, finding ones that are more relevant to your location, your business, and your goals has the potential to get your more exposure with a highly targeted audience. 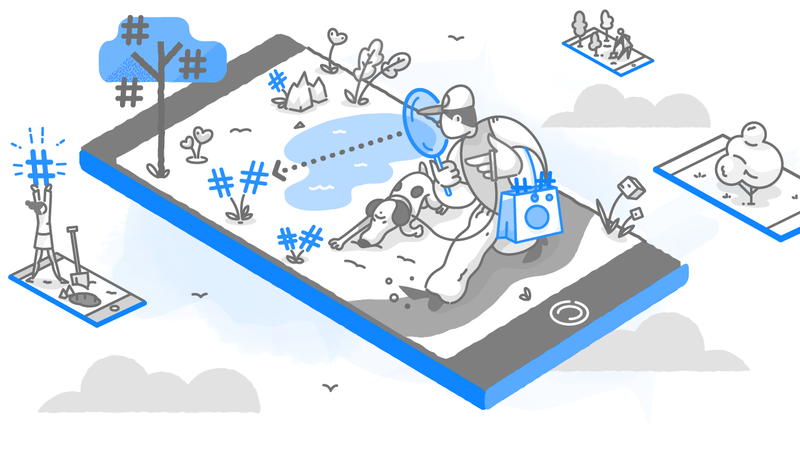 What are the most effective hashtags? The most important thing to note is that they are different for everyone. If your choice of hashtags does not reflect the traits and values of your business, they will not attract the right users. Your business has nothing to do with #like4like, and everything to do with creating a real connection with potential clients. It may take some research to find what hashtags work best for your community and your type of business, but once you start getting results, we doubt you’ll regret it. The first reason to use these hashtags is to make your use of them more relevant to your content. If you’re a local restaurant in San Francisco, #instagood does nothing for you and has no relevance to what you are posting. Instead, hashtags like #sanfranciscoeats or #sffoodie will draw the attention of local foodies in the area, or those looking for a new restaurant to try. Why not let it be yours? Using hashtags with specific relevance to your content will do that for you. Chef Pepe (@ChefPepeCarmel) began using local hashtags for his business and now sees more valuable engagement with his posts because people are searching for these specific hashtags so that they can actually visit the places they find. Local hashtags are a great way to draw in the right crowd. 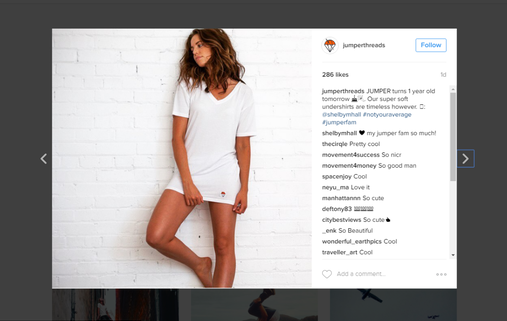 There are hundreds of millions of users on Instagrams that can be reached, but there are more than enough just in your area to get the attention you need. This focus is much more effective than a desperate effort to reach all 500 million Instagrammers out there. In addition to using ultra-specific hashtags, you should also seek out hashtags that have a dedicated community behind them. 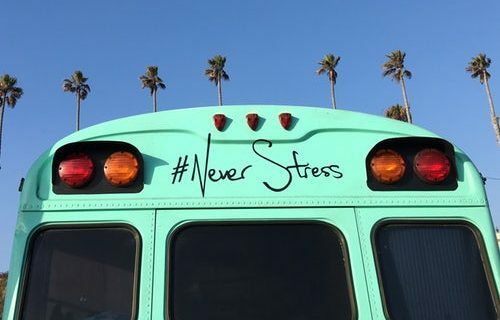 While using more specialized hashtags can feel like choosing less popular ones, they are, in reality, more important for showing Instagram users who you are and what you believe in. This, in turn, attracts users with similar values, and makes them more likely to follow you or visit your website. Take, for example, James Jordan of James Jordan Golf Academy (@jamesjordangolf) in San Fernando Valley, CA. Even though hashtags like #golftips and #golfswing have significantly less posts than more popular hashtags, they attract a specific type of Instagram user that will be interested in James’ content, and using them regularly will create a loyal following for his academy. While using mega-popular hashtags is tempting, it can often make a post look tacky, and does not express what you and your company value. It will not bring the right attention to your profile like more specific hashtags would. If you want your followers to value you, show them that they are valued in return by posting things that matter to them and engaging in these online communities. A third, and often overlooked reason to use more better hashtags is the opportunity to make it to the “Top Posts” sections for those hashtags. The Top Posts section is 9 posts that always show up at the top of your feed when you search a hashtag because they have the most recent likes for that specific tag. Using very popular hashtags severely reduces your chance of entering the Top Posts, and even if you do, it’s likely that you won’t stay there long.This is why choosing hashtags of the “right size” (aka with a certain number of posts) is a great way to find yourself in multiple Top Posts sections, which makes it easier for those searching to find you. 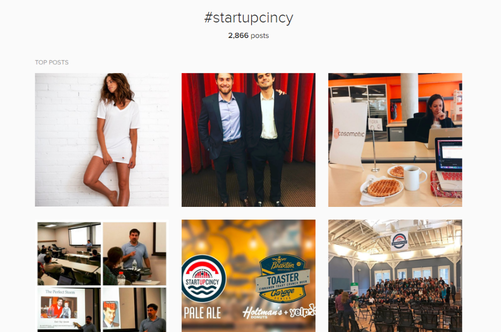 Again, ask yourself if you would rather be popular for 30 seconds thanks to instagood, or if you’d like to spend an extended amount of time in the Top Posts section of #startupcincy like Jumper Threads? To find out how many posts a hashtag has, simply click on the hashtag and the number of its associated posts will be displayed directly under the Top Posts section. Currently, #instagood has over 500 million posts, while #sktartupcincy has 2,866. The latter has millions less, but 2,866 is still a significant (and more concentrated) group of people participating. After trying this, scroll through the photos to see the average number of likes each is getting. If your posts are performing at similar rates, you have a good chance to make it into the Top Posts. If you have a little less, you can try to boost your posts to reach your goal, or find a more specific hashtag. 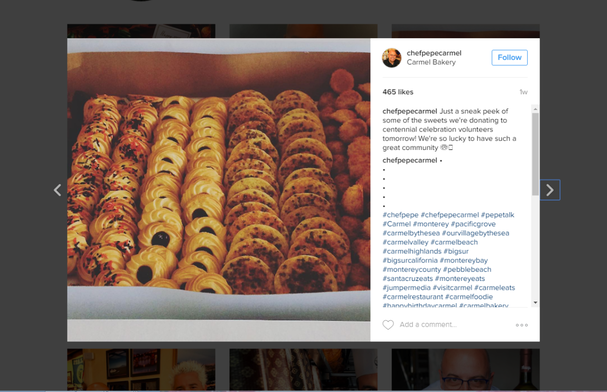 If your photos have more likes, challenge yourself to be popular on bigger hashtags! While using the most popular hashtags may feel like the best way to draw attention to your profile, those interactions will only be skin deep. Start looking into more relevant and specific hashtags that bring in followers who will stick. Not only will you see more meaningful engagement, you just might see yourself bringing in more business! If you need some help with this process, the team here at Jumper Media can guide you along the way.